Utes would meet No. 3 seed Oregon State in the quarterfinals in Las Vegas. (Francisco Kjolseth | The Salt Lake Tribune) Dru Gylten, left, and Dre'una Edwards run through drills as the Utah women's basketball team practices at the Jon Huntsman Center on Wed. Jan. 2, 2019, as they prepare for their next game on Friday. The team guided by coach Lynne Roberts has them rolling 12-0, in one of the best starts in program history. At this stage, Utah women’s basketball coach Lynne Roberts could be forgiven for just wanting the season to end. Roberts instead views the Pac-12 tournament as “just kind of new life” as the No. 6-seeded Utes play Washington on Thursday night at the MGM Grand Garden Arena in Las Vegas, the tournament's new venue. The winner will meet No. 3 seed Oregon State in Friday's quarterfinals. The roster was reduced to seven active players on Feb. 22, when forward Dre’Una Edwards — named Tuesday as the Pac-12 Freshman of the Year — became the second starter to sustain a knee injury. The Utes beat Washington 60-46 in their first full game without Edwards, but then closed the regular season with losses to UCLA and USC. Sunday’s 83-77 overtime defeat at USC was especially difficult, after the Utes led by four points with nine seconds left in regulation. The Trojans’ rally was a shortened version of Arizona State’s comeback from 18 points down in the last minutes to beat Utah. Winning those two games may have kept the Utes (20-9, 9-9 Pac-12) in NCAA Tournament at-large consideration. As it is, they almost certainly would have to win the conference tournament to get a bid. 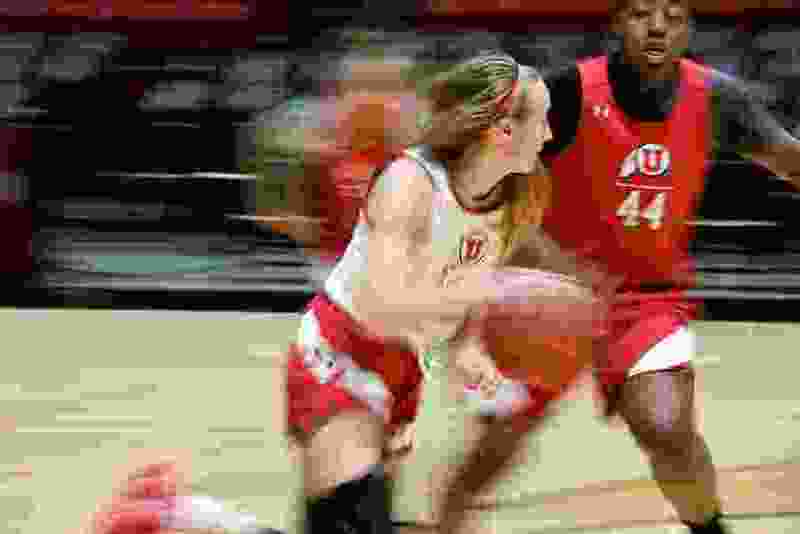 Just earning a first-round victory would be an achievement for the Utes, whose only wins in seven years of conference tournaments came in 2013 and ’14. The No. 6 seed is Utah’s highest in eight years of Pac-12 membership, although the Utes once targeted a top-four finish and first-round bye when they stood 7-1 in league play. Roberts said her players’ response to the personnel shortage and recovery from tough losses have made this season “unbelievably rewarding.” Senior forward Megan Huff, a repeat selection to the All-Pac-12 team, has remained consistent, averaging 20.0 points and 9.6 rebounds to rank in the conference’s top four in each category. Huff scored 30 points against USC, including seven in overtime. Ute guard Dru Gylten, who averages 8.8 points and 5.6 assists, joined Edwards on the Pac-12′s All-Freshman team.